UKRSPECSYSTEMS has announced the introduction of the USG-211, a compact and lightweight gimbal suitable for a wide range of fixed-wing and VTOL UAVs (unmanned aerial vehicles) as well as small manned aircraft. The USG-211 is equipped with a Sony EV7520 Full HD camera with 30x optical zoom, anti-fog, video enhancement and other advanced features, and also features high performance gyro-stabilization. The on-board video processing module enables target tracking, motion detection, digital video stabilization and video over IP. The gimbal features an intelligent route tracking feature that analyzes the target’s movement direction, allowing the gimbal to continue to move in the direction of the target’s predicted location even when visual target tracking is lost. 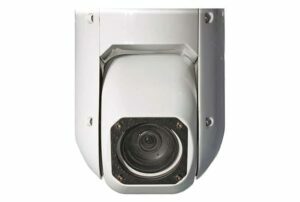 The target tracking feature can then be automatically reactivated when the target is in the field of view of the camera.